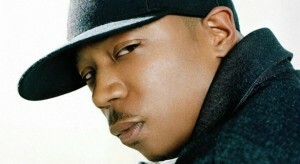 Multiplatinum-selling rapper Ja Rule is set to go to prison, but he’s leaving fans with an album on the way. The rapper-actor – whose gravelly voice, thuggish tough talk and duets with R&B divas made him one of rap’s stars in the early 2000s – is set to be sentenced Wednesday to two years in a New York prison. “My last day out,” he tweeted Tuesday afternoon, adding that he was spending it at the movies with his family. Ja Rule, 35, pleaded guilty in December to attempted criminal possession of a weapon, resolving a nearly 4-year-old case. Police said they found a loaded .40-caliber semiautomatic gun in a rear door of his $250,000-plus Maybach sports car, which they’d said they’d stopped for speeding as he left a star-laden concert at Manhattan’s Beacon Theatre on July 22, 2007. 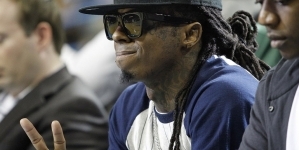 Rap superstar Lil Wayne was arrested separately after headlining the same show. He later pleaded guilty to the same charge, spending about eight months in a city jail last year. “You know, I try not to regret anything I do in life, because you go through life and you do things, and you man up to them. You own them,” he added. He’s recently been wrapping up a new album, “Pain Is Love 2,” but he told “Good Day New York” he’s also been trying to prepare himself mentally for prison. He lives in Upper Saddle River, N.J., with his wife and three children. Meanwhile, he also pleaded guilty in a New Jersey federal court in March to failing to pay taxes on more than $3 million in income. He faces up to three years in prison in that case, though his lawyers are expected to try to arrange for his sentences to be served at the same time. Ja Rule had some previous brushes with the law, including pleading guilty to assault for punching someone at a Toronto nightclub in 2004. He was fined $1,200. He recently told TMZ.com he plans to keep busy behind bars by writing a book, getting his GED and possibly taking up the guitar. “I’m gonna try to make good of my time while I’m inside,” he said. His expected sentence will make him the latest in a long line of rappers to do time. Hip-hop stars including Tupac Shakur, Lil’ Kim, Foxy Brown, Shyne, Mystikal, Gucci Mane and T.I. have been in jail or prison for periods ranging from months to years. Under state prison policies, Ja Rule might be able to shave up to six months off his sentence by meeting requirements for good behavior and other standards.